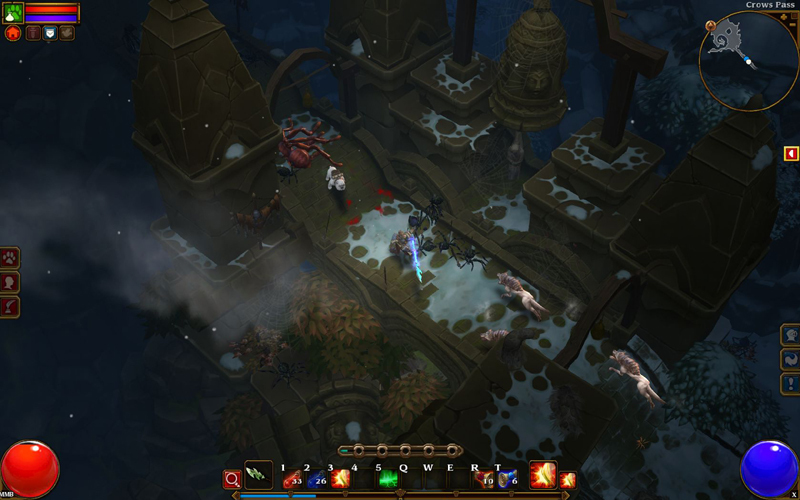 Torchlight 2 | Are We New At This? But don’t be fooled by this. Each class had 30 skills, spread across 3 different trees. Each skill takes 15 points to max out. So even within a single class, you can have several builds that play radically different from one another. Now, multiply this by four classes. That is a lot of replay! New Game+ is not just your standard repetition of content, upgraded to match your level. You can also buy dungeon maps for gold, complete with their own set of variables, to mix things up. 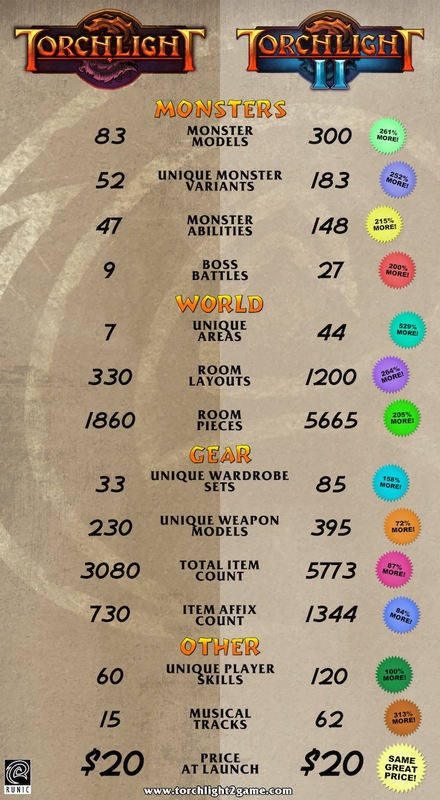 With a shared stash, you can keep exploring content to better equip your alts. Did I mention there are 44 dungeons to choose from? No review that I have seen so far, claims that the cartoony style of graphics detracts from the experience. That is because the graphics are amazing, sculpted with care and attention, and enhanced by Matt Uelmen’s riveting soundtrack. Your pet fights by your side at all times. You don’t have to direct it, beyond setting its demeanor (aggressive, defensive, or passive). It is pretty smart about what to attack, and packs quite a punch. It automatically retreats when hurt, and does not die on you. The fish you catch can radically transform your pet into a wide variety of beasts, monsters and other colorful characters to expand your combat effectiveness. Depending on how much time you invest, you can catch fish that transforms your pet for short lengths of time, or permanently. Boss fights are crazy, intense affairs, and I have found myself being consistently surprised by their various abilities, fight mechanics and environmental hazards that stand in my way. Boss fights will make you think on the fly, making critical decisions in a split-second, and leave you breathless by the end of it. I guarantee, you will let out a “whew” at the end of quite a few of them. There is no way to express this in words. There is a nonsensical amount of loot. The deluge starts from your first swing, and never ends. You are literally showered with items, and you are constantly upgrading. It is akin to the proverbial carrot on a stick, but man I have never had so much fun chasing the carrot. There are several other elements that help enhance your game. A charge bar, uh, charges up when you are in combat, enhancing your statistics. It depletes when you are not in combat, subtly forcing you to constantly smack monsters around. A transmutor helps you craft new equipment from old items. The enchanter imbues your equipment with additional magical properties. A respec NPC restores your last three skill points. You have a personal stash. You have a shared stash for all of your characters. The list goes on and on. This a phrase from a review that I have been unable to find since, but its rings true. 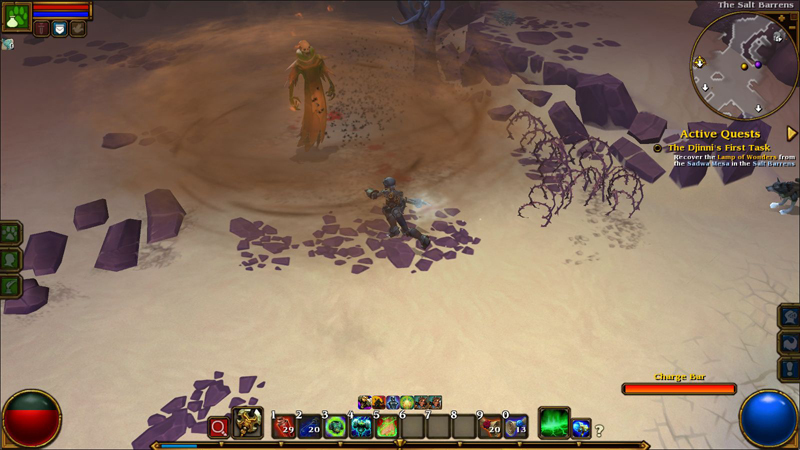 Torchlight 2 does not waste your time. 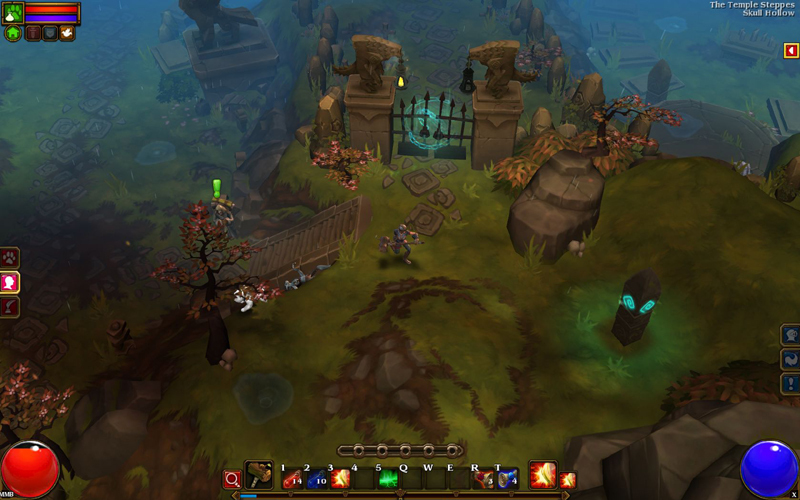 The areas are huge, so you barely need to see the loading screen to begin with. When needed, loading times are practically non-existent. The character selection process is quick, intuitive and gets you in the game in 3 clicks. When you start a new character, you can get into combat, literally, within the first 10 seconds. In end game you can buy maps to get to dungeons instantly. This is a game that spends a lot of time ensuring it is not wasting yours. You really need an explanation for this? Go buy it! 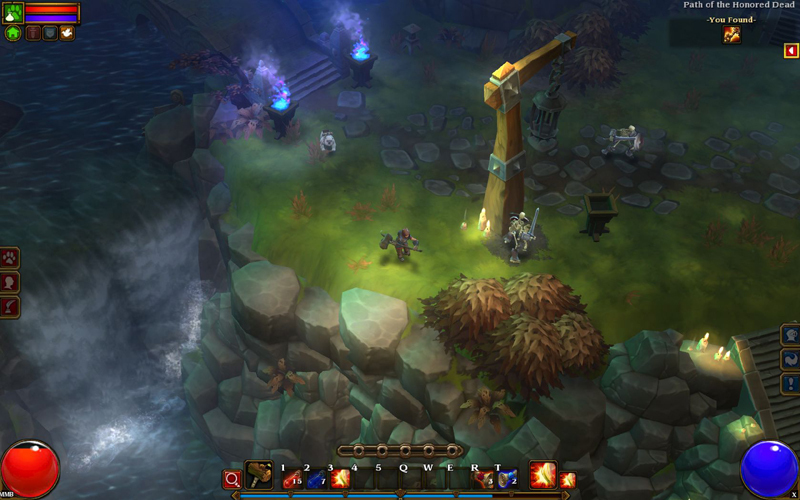 My review for Torchlight 2 is up over at HookedGamers. Like anyone needs a reason still not to play. Jim Rossignol, one of the the stupidly intelligent (can that be a term?) folks over at RPS has an interesting argument, that PC games are “all about the terrain”. Well OK, it is less of an argument, and more of a thought, further fueled by the veritable Twitterati. However, I have played two games on the opposite end of a spectrum that I much care(d) about, which make me think that the best terrain alone does not a game make, and lack of other critical features can make it not worth your while. Recently I played the first three episodes in season 1 of The Walking Dead. Stellar story, incredibly tense world, terrifying sense of dread. Now that I think back to the game in the context of this little piece, I realize that I remember little of the terrain, or if it had any major effect on me. I am sure it enhanced whichever situation it served as a backdrop for, but at the end of the day, story is what drove The Walking Dead, and I love the title for this reason. 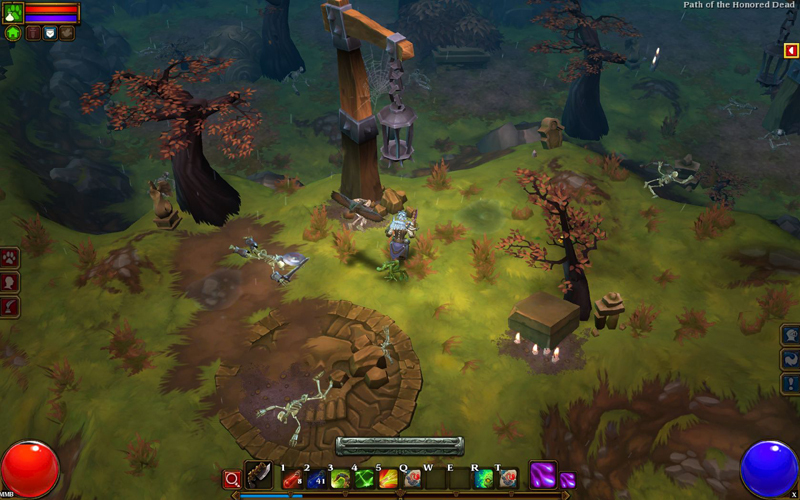 On the other end of the spectrum is the excellent Torchlight 2, with a story so convoluted and under-developed, I literally stopped reading quest text by the second quest. The game won me over with incredible gameplay, deeply satisfying combat. Once again, when I look back at it, I have a vague recollection of the terrain, but that pales in comparison to the frantic button-mashing that took up 99% of my time. What do you think? Do you think good use of terrain, or well-designed terrain can actually make a shoddy game passable, or it is just a background element for you? Via Kotaku, Runic Games have released an info-graphic to establish ow much bigger and better Torchlight II is than its predecessor. Click the image to enlarge it. 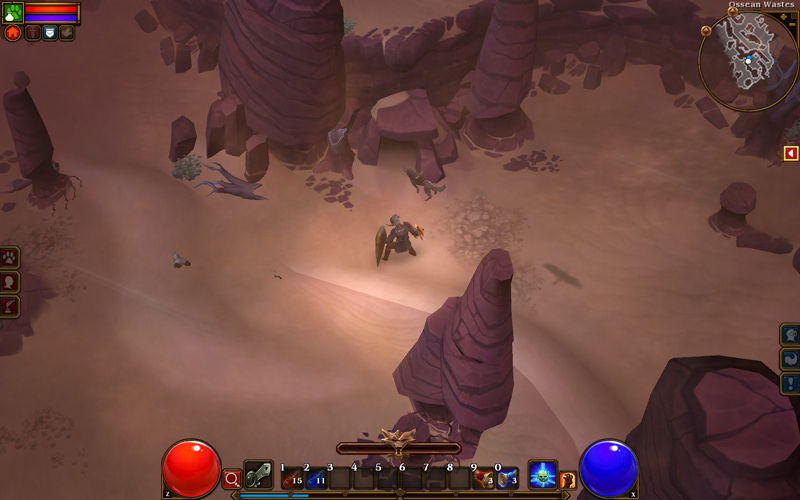 I also previewed Torchlight II for Hooked Gamers last months. You can check out that preview here.